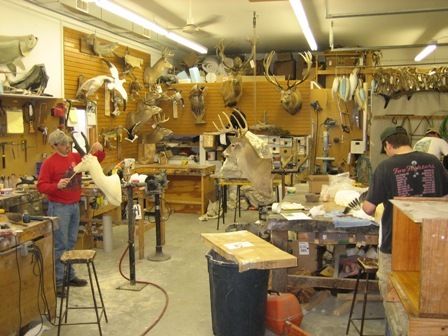 Sportsman's Taxidermy Studio was established in 1979 and continues to provide the same friendly, personal service dedicated to preserving the memory of your hunt. Our on staff specialists strive to ensure that your hard earned trophy receives the attention to quality and detail that it deserves. We provide a variety of mounts and services to fit most everybody's needs, and welcome the challenge if you have something special in mind. We have completed work for the Minnesota Department of Natural Resources, the University of Minnesota Crookston , the University of North Dakota , Cabela's, Scheels Sports, Streiff Sporting Goods, Itasca State Park , Wetlands Pines & Prairie Audubon Sanctuary, Red Lake DNR, Blue Mound State Park , Lake Bronson State Park , as well as many other organizations and individuals. 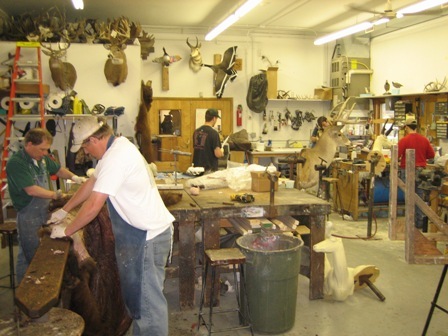 Jim Benson grew up in East Grand Forks, MN and started doing taxidermy as a hobby when he was 14 years old. Since then, his appreciation for wildlife and nature has kept him in business. 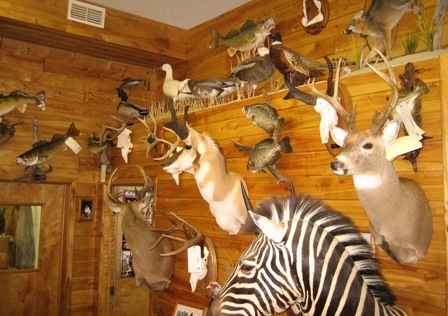 When he started Sportsman's Taxidermy Studio in 1979, he used the most up to date products and techniques available and combined them with special attention to detail. He still holds those traits today. He has made that combination of skill along with some improvements satisfy the most demanding clients. 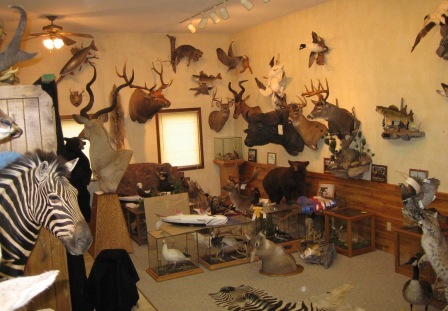 Jim truly believes that your hard earned trophy deserves the best job possible, giving you a piece of wildlife art that you will truly be proud to display. Jim enjoys hunting everything from Coyotes in the frigid North Dakota winter prairie, to stalking African game with either gun or bow. He loves spending time on the nearby Red River in the summer catching Channel Catfish, and also visiting his hunting camp in Northern Minnesota for Whitetail Deer, Ducks, Geese, and Grouse. 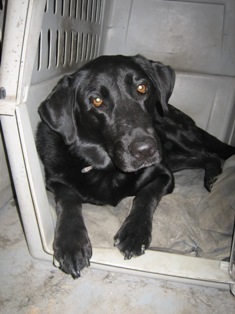 Jim also enjoys spending days in the field with his seven year old Black Lab "Molly", and loves hunting all species of waterfowl and upland game with her.